This is the Black & White version of my Blended Layers Gallery (The original is described as:"This gallery is a first attempt at photographing small things using multiple focal planes and blending them for the purpose of achieving greater depth of field.") This gallery covers the methodology I used to obtain the final result. I find that in these sort of objects the black and white treatment works fairly well. The common theme with all these photographs is Macro photography. Well, almost. 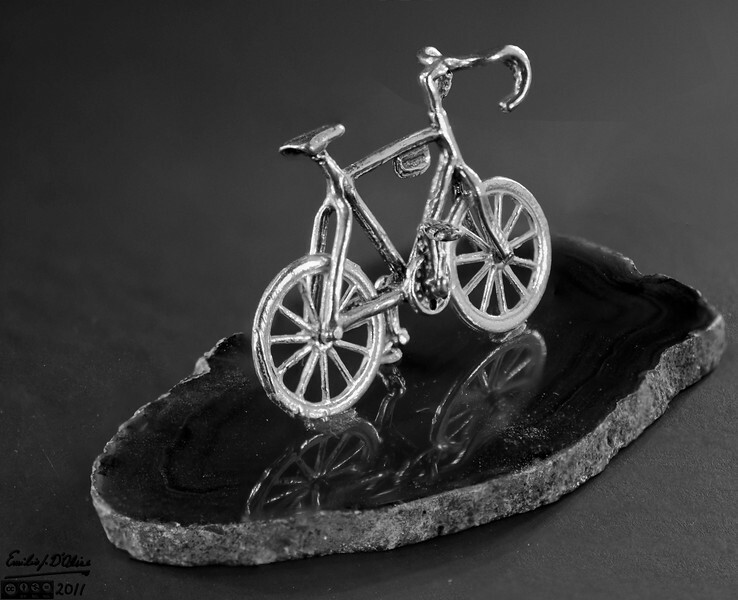 This bicycle is about 3/4 of an inch tall, with the base maybe around three inches long. This is the Black & White treatment of the color original.